True devotees of Christmas know that the season officially begins on Black Friday (or Thanksgiving evening, if you're naughty)—not December 1. 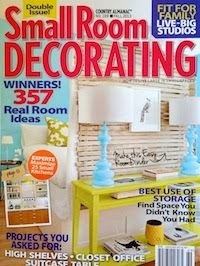 Let the decorating begin! 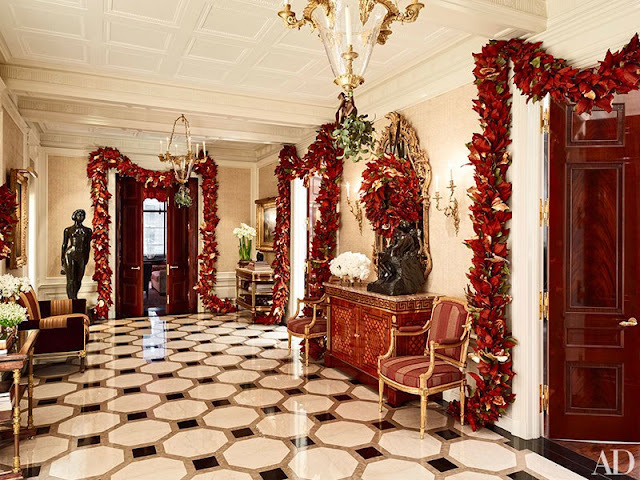 I'm ringing in the season with a series on chinoiserie Christmas decorations, featuring over the next few days decor (trees, wreaths, garlands) and where to shop. Chinoiserie (shin-waz-er-ee) means Chinese-inspired or influenced, although it's often used as a general term for anything with an Asian sensibility. 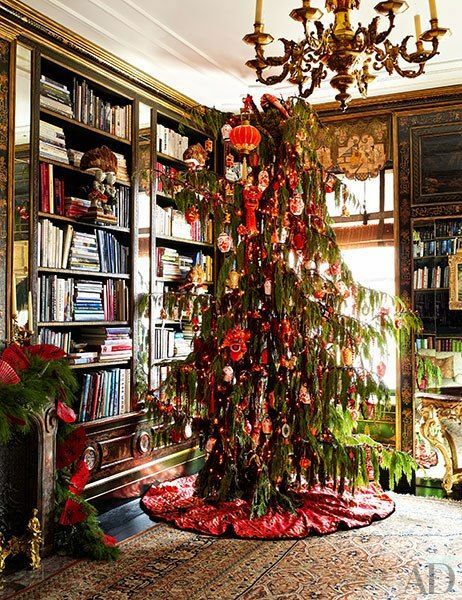 Bronson Van Wyck decorated this sumptuous library in Manhattan for Christmas, as captured by Architectural Digest. The tree skirt is made of Chinese wedding silk. 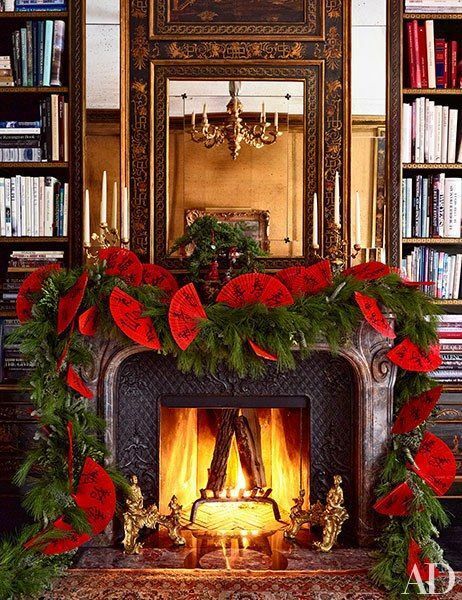 The mantel, layered in cedar and custom-made red fans, is a stunning centerpiece for the room. The beautiful red theme is carried into the hall. How many poinsettia bushes did it take to create these fantastic garlands? !